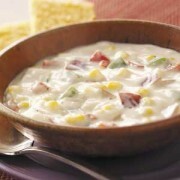 This is a recipe that Cindy has used for several years and is always devoured at picnics. A lot of people ask for the recipe because the flavor is so outstanding! By freezing instead of boiling the brine a lot of unique flavors come out, as well as the fresh cilantro. It is very easy to do in small or large batches. 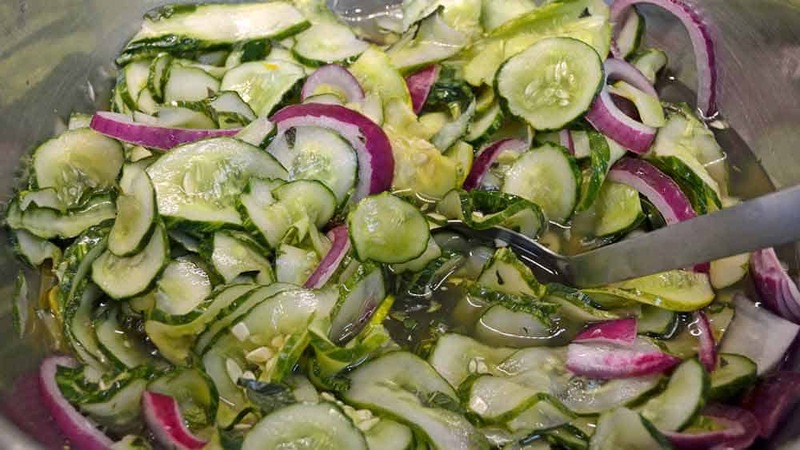 We have used cucumbers and German Beer radishes, but just about any hard skinned vegetable can be used. Quick, easy, and absolutely delicious - these pickles will be the hit of your picnic, potluck, or dinner party! Freezing instead of boiling brings out flavors lost to the heat, as well as being the only way we've found of keeping the fresh summer cilantro flavor into the winter. 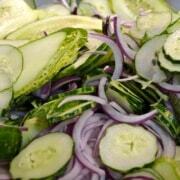 Wash and thinly slice cucumbers - do not peel, then thinly slice onions. There should be about 7 cups. 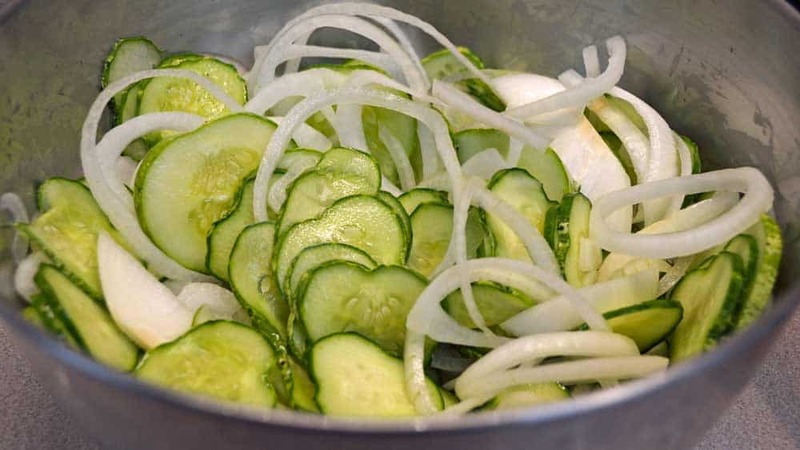 Toss cucumbers and onions in a large bowl with salt, mixing well to evenly distribute the salt. 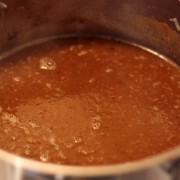 Let stand at room temperature for 2 - 3 hours, then drain excess liquid but do not rinse. Combine remaining ingredients in a separate bowl, mix well and pour over vegetables, stirring well to mix. Refrigerate for 8 - 10 hours or overnight. Pack the vegetables and brine in freezer-proof rigid containers and freeze. We like to use pint jars - they are the perfect size for a picnic or family BBQ. Make sure to leave about 1 inch of headspace to allow for expansion so the jars don't break. Be prepared to make an immediate, larger second batch! Use a Cuisinart or other kitchen appliance to slice the vegetables and reduce your prep time to a few minutes! We've successfully used this recipe with large radishes, cucumbers of all kinds, and yellow beets. 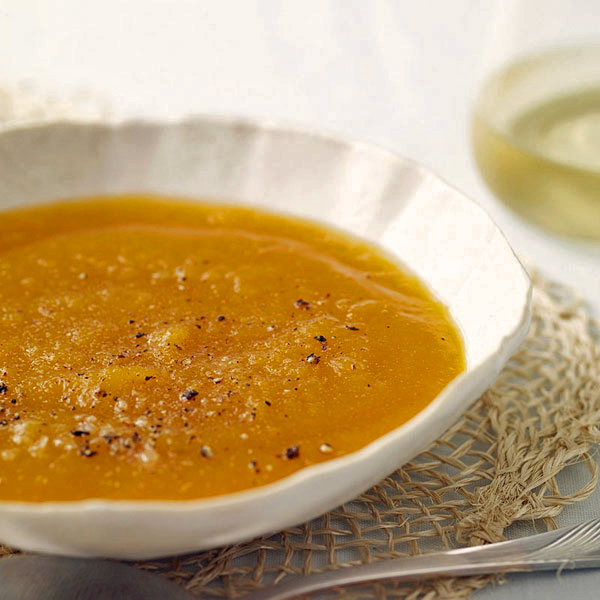 Almost any sturdy vegetable - root or otherwise - will pickle beautifully with this recipe. Thinly slice your vegetables – we use a Cuisinart or other type of kitchen slicing appliance – making this a 2-minute process! 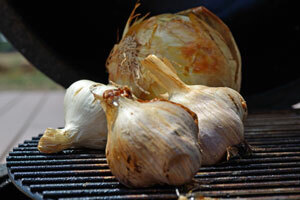 The photos are of two different recipes we did – one with white onions and the other with red ones. Once your vegetables are sliced, brine them by adding salt to the vegetables and stirring them thoroughly to mix the salt in well. Let sit for a couple of hours – the exact time isn’t important, so don’t worry if it’s 3 hours, they will taste great! Strain out excess moisture from the vegetables, but don’t rinse – you need the salt for flavor and the pickling process. Next, start the pickling process by mixing the herbs, sugar, and vinegar in a separate bowl, then pour over the brined vegetables. This starts the pickling process. 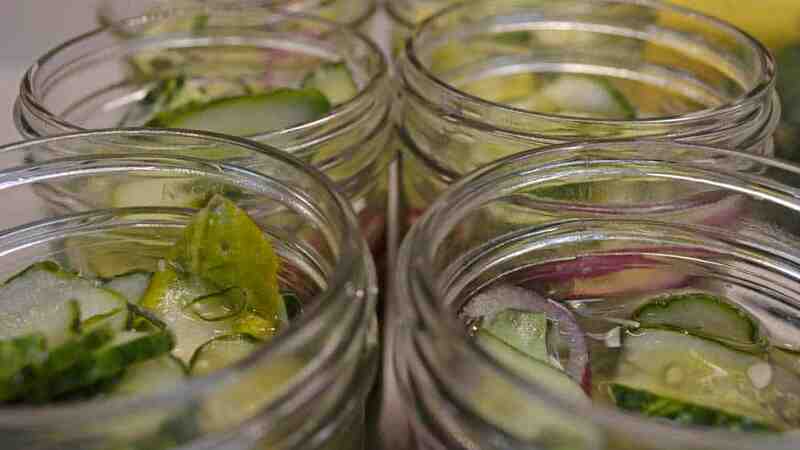 After refrigerating them overnight, pack your newly-pickled vegetables into jars or freezer-proof containers. We use pint-sized Mason jars, which are just enough for a family picnic or supper or a BBQ. If there is a larger crowd, we’ll take two. Leave enough room for the pickles to expand without breaking the jars – about 1 inch, and make sure to cover the vegetables with brine for the best flavor and to prevent freezer burn. Let the flavors mature and mingle for at least 2 weeks before serving. Thaw in the refrigerator overnight and serve cold. …never heard of freezing veg to create a pickle so I am keen to try that, but…. 1 1/2 cups of sugar!? >< Reads like way too much. John, the sugar acts as part of the preservation agent, as this isn’t truly a “pickled” recipe. You can use less sugar if you wish, with a resulting tangier or sour taste. Thanks for the response. Yes, that this isn’t an ‘aged’ pickle is a good point. I’m experimenting with the basic recipe you have (as I have a glut of ‘mouse melons’. ): freezing one jar; keeping another in the fridge to pickle, in the traditional sense; and varying the ratio of sweet/sour. Having said all that, I neglected to say that I like the broad range of recipes on your blog. Very rude of me! Good luck in the garden. You are most welcome John. Good to hear of your experimenting and results, and thanks for the kind words! Look for many more recipes as we get the time. Can you share how you altered the recipe to decrease the sugar? 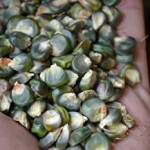 I also have cucamelons and would like to do this freezer treatment but hopefully with less sugar. Lisa, I don’t know if John has subscribed to this thread, but I would assume that by simply decreasing the amount of sugar in stages and experimenting with the recipe, you could find the amount that agrees with you. After all, this recipe is done and ready to eat in just a couple of days, so it won’t take long to find your ideal amount.